Tony was born on May 7, 1942 in Akron, Ohio. He was bedridden for eighteen months at the age of five. It was during this period that he began drawing, inspired by comic strips, children’s books and radio dramas. Over the course of his career, Auth won many awards, including five Overseas Press Club Awards, the Sigma Delta Chi award for distinguished service in journalism, the Thomas Nast Prize, the Herblock Prize, and the Pulitzer Prize. 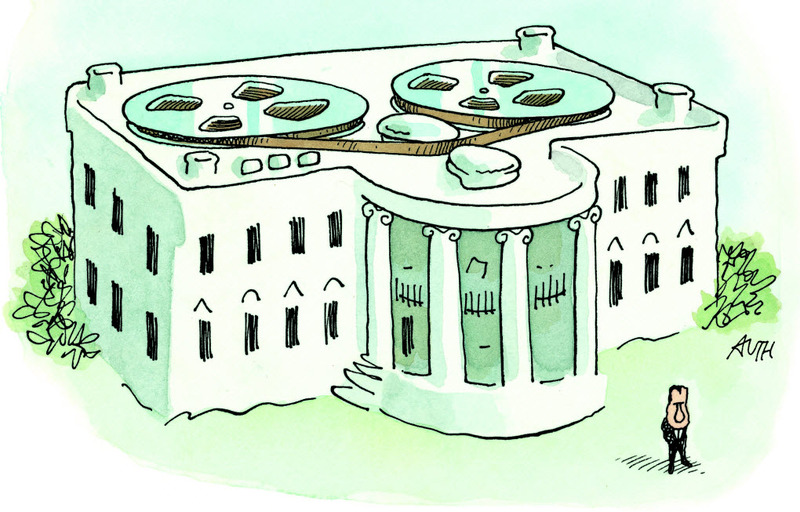 OUR WHITE HOUSE. Illustration © 2008 by Tony Auth. Reproduced by permission of the publisher, Candlewick Press, Somerville, MA. 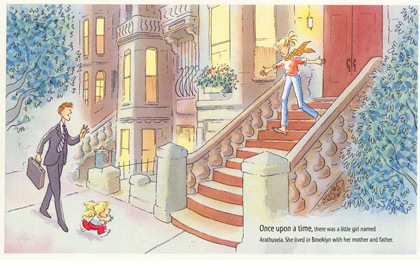 Tony Auth passed away in September 2014.
from Topsy-Turvy Bedtime, written by Joan Levine (Candlewick Press).